Can a handyman do electrical work? There is only one way to answer that, and it's with a question: Is the handyman licensed to do electrical work? Folks, some handymen are licensed to do electrical work. Some are not. There is only one way to find out, which is to ask for the handyman's license number, and to check it. Some handymen are licensed to to electrical work. These are the type of handymen who do all kinds of repair work. They will probably have their electrical licenses displayed loud and proud on their trucks or business cards. Can a handyman of this sort do electrical work? Of course, since they are licensed to do so. You might need a master electrician to do major wiring jobs, but for small electrical repairs, you can hire a handyman as long as he has an electrical license. What you want to avoid is hiring anyone who is not licensed to do electrical work for your project. 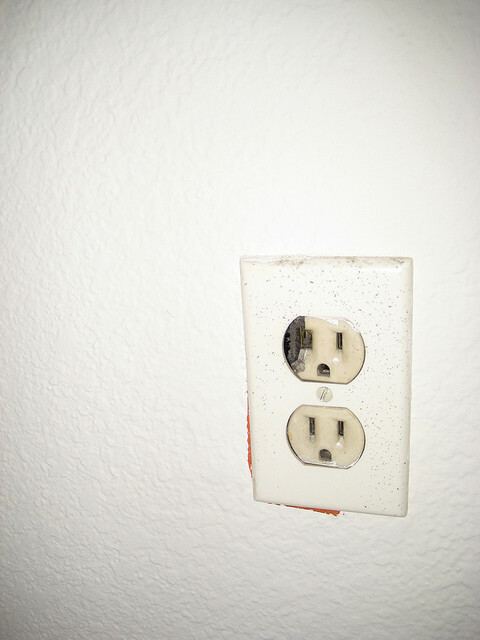 Take a look at the following photos of electrical fails and you'll see why. Is this for shock effect? (Get it? Ha!) Yes, maybe. 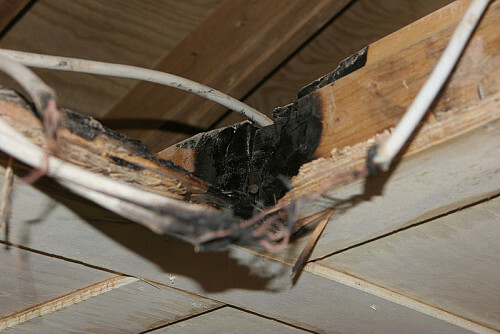 But it's also to protect you, a graphic reminder that the only handyman who can do electrical work properly and safely -- where you can be sure it is up to code -- is one who is licensed as an electrician. This photo is by Richard Elzey, a home inspector who posted it on Flickr. 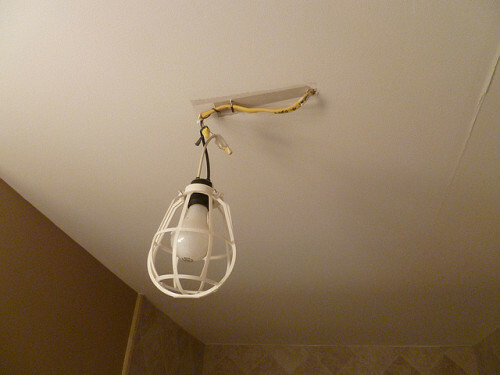 This is obviously the work of someone who was not licensed to to electrical work.